The University of Florida Alumni Association was organized and chartered in 1906 by the first group of graduates from the Gainesville campus. Today, alumni on record total nearly 350,000. We have alumni in every state and in more than 100 foreign countries. The Alumni Association is responsible for a network of nearly 100 Gator Clubs® in Florida, across the U.S. and internationally. These clubs are composed of alumni and friends who represent UF in their communities. They hold a wide variety of programs and events in support of the university. 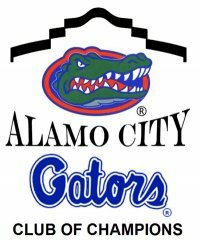 The Alumni Association is also actively involved with the recruitment of superior students to attend the University and with financial assistance programs in the form of scholarships sponsored by the Gator Clubs®. In addition, we host outreach programs that bring faculty and administrators on the road to carry the University's message to alumni and friends. Reunion programs are organized and conducted by the Alumni Association and have been successful in bringing alumni back to Gainesville, with activities that are designed to involve returning graduates with campus life. We host the Grand Guard reunion, which honors 50 year graduates of UF, and the Silver Society, which recognizes 25 year grads. In addition to these reunions, several annual events are held each year including Back to College, Spring Weekend and our Gator Nation Tailgate party before each football game. Specific groups have been organized to represent the needs of special interests on the campus, including the Association of Black Alumni and the Association of Hispanic Alumni. In addition, Student Membership in the Alumni Association was developed to create networking opportunities between current students and alumni. With more than 11,500 members, this group offers career networking, social events and special programming. The Florida Cicerones, who are UF’s campus ambassadors, are also members of this group. These students, specially selected to represent the University, lead tours and host events across UF’s campus.